UPDATED: Sat., March 17, 2018, 9:43 p.m.
NASHVILLE, Tenn. – Dwayne Bacon, Jonathan Isaac and Xavier Rathan-Mayes all are gone, the first two drafted into the NBA. Florida State has only one starter back from a year ago when the Seminoles’ expected run through the NCAA Tournament came to a stunning and ugly end so much earlier than expected. Now the Seminoles are in a second-round rematch against the same team that put an absolute beatdown on them – in the same West Region no less. This time, it’s the Musketeers coming in as the No. 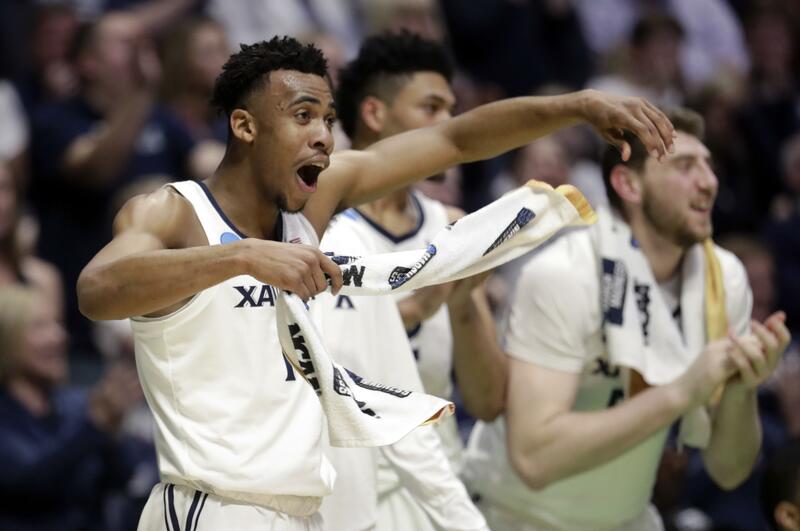 1 seed in the South Region and ninth-seeded Florida State has a chance to ruin Xavier’s tourney dreams for sweet payback Sunday night on the way to the Sweet 16. At least that’s exactly what the Musketeers, with four starters back, expect. “I have a feeling that they’re going to try and come out and get some revenge,” Xavier senior guard J.P. Macura said. The Seminoles finished tied for second in the Atlantic Coast Conference last season, earning a No. 3 seed that matched the best in school history. They played in Orlando and were stocked in talent with Isaac the sixth overall pick in the NBA draft to Orlando and Bacon taken at No. 40 by Charlotte. Rathan-Mayes just spent a 10-day stint with the Memphis Grizzlies. Xavier came in as the No. 11 seed and dominated the Seminoles in a 91-66 victory on the Musketeers’ way to the Elite Eight. Coach Chris Mack said his Musketeers weren’t that good or Florida State that bad in that game. “I think we got Florida State on their heels early in the game, and then I think, you know, the game sort of avalanched,” Mack said. Roles are reversed this time around. Xavier won the Big East regular-season title and is a No. 1 seed for the first time in program history. Florida State finished eighth in the Atlantic Coast Conference and defeated No. 8 seed Missouri on Friday night to advance this time around. Xavier senior guard Trevon Bluiett still sees the Seminoles doing some things that are familiar from that game a year ago. “I think with how things ended last year, they’re definitely going to look for revenge and try to give us their best shot,” Bluiett said. The Seminoles downplayed the notion that they want a victory just for revenge. A spot in the regional semifinal – a place Florida State hasn’t been since 2011 – in Los Angeles awaits the winner. Kabengele didn’t play in that loss as a redshirt in his first year on campus. Kabengele did turn 14 points and 12 rebounds to help Florida State advance to the second round. The Seminoles have six players back who averaged 10 or more minutes last season. “I feel like we’ve learned a lot from that time last year to now, and being able to prepare for this moment, even better than we did last year,” Florida State sophomore guard Trent Forrest said. Coach Leonard Hamilton said he hopes the challenge of the moment will bring out the Seminoles’ best. Published: March 17, 2018, 7:41 p.m. Updated: March 17, 2018, 9:43 p.m.